In 2018, Hoi An welcomed five million visitors, a 50.84% increase against 2017, including 3.7 million foreigners. 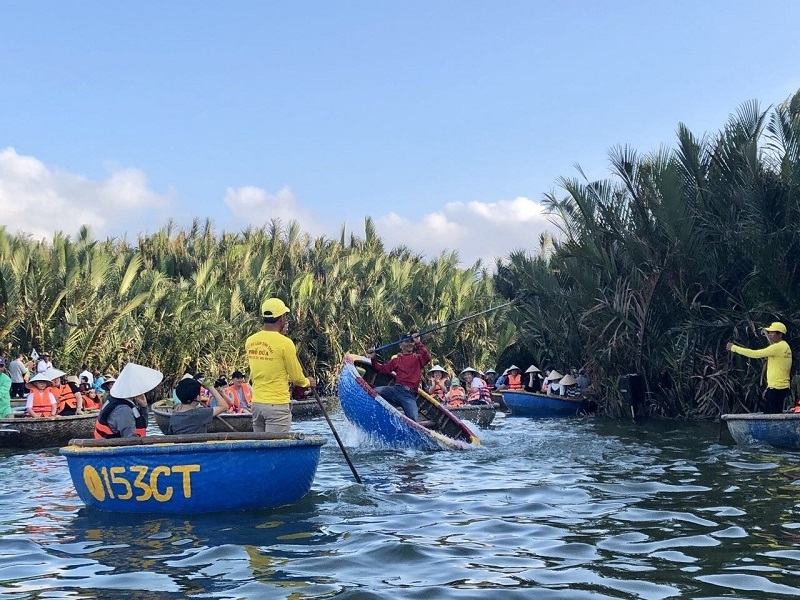 Joining Vietnam’s fishermen on a basket boat ride in Hoi An has been named among the 10 most favourite travel experiences of 2019, according to a list released by Tripfuser, a marketplace for private tailored travel. The iconic basket boat is Vietnamese fishermen’s retaliation to the hefty taxes placed on boats during the French colonial era. Now, it’s become a symbol of Vietnam’s coastal destinations. In Hoi An, arguably Vietnam’s prettiest town, you can take a ride in one of these boats along the river and out into the sea to catch some crabs with local fishermen on Tripfuser’s 14-day Vietnam highlights tour. Stepping foot on one of Europe’s most active volcanos in Sicily tops the list, followed by joining Vietnam’s fishermen on a basket boat ride in Hoi An, then helping save sea turtles at Ahungalla in Sri Lanka, and getting amongst GOT filming locations in Ouarzazate, Morocco. Earlier, Hoi An has been named among the world’s 10 stunning holiday ideas for 2019 that will inspire you to live the way you’d like to, according to a list released by Elle, a worldwide lifestyle magazine of French origin that focuses on fashion, beauty, health, and entertainment. Elle advises travelers that Hoi An, arguably Vietnam’s most underrated and marvelous city, is a melting pot of architecture, history and culture. Dating back to the 15th and 19th century, the port-city has a statuesque-ancient-town vibe. “From ornate Buddhist monasteries to the iconic Japanese Covered Bridge and from the bustling Riverside market to the tranquil old town, Hoi An has it all,” Elle wrote.